OPI is celebrating the May 2016 release of Disney Alice Through The Looking Glass with a new Brightscollection inspired by the film’s mad, crazy, wonderful characters and their latest adventures. The story takes Alice back to the whimsical world of Wonderland, where she time travels to save the Mad Hatter, who is not himself. The collection features eight insanely gorgeous limited-edition shades (each available in both lacquer and GelColor formulas), plus a bonus special edition nail lacquer. Everyone is sure to find their cup of tea in these bright, bold colors fit for storybook and real-life heroines alike. There’s strength in mesmerizing blues, nobility in gleaming alabaster and glittering gold, and more than a little madness in saturated hues of lilac, burgundy, red and fuchsia. The collaboration is OPI’s second with the successful Disney film franchise that began in 2010 with Alice in Wonderland. Disney Alice Through the Looking Glass Collection by OPI limited edition nail lacquers retail for $10.00 ($12.50 CAN) each. Special edition What Time Isn’t It, also part of the collection retails for $14.95 ($18.75 CAN.) while sets range from $14.50 - $17.95 ($17.95 – $22.50 CAN) at professional salons, as well as Beauty Brands, beautybrands.com, Chatters, Dillard’s, Regis, ULTA and ulta.com. GelColor is an in-salon, professional service only. Click HERE to learn more about OPI! 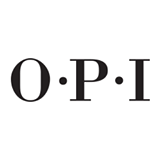 Follow OPI on social media!